Serving students in Miami-Dade, Broward, and Palm Beach Counties for over 40 years. We accept the PLSA Scholarship. 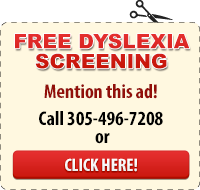 Does your child struggle with Dyslexia, ADHD, Dysgraphia, or Visual/Auditory processing disorders? Contact us now at 305-496-7208 and learn how your child can improve their math, reading, writing, and executive functioning skills with our multi-sensory techniques geared toward your child’s needs. 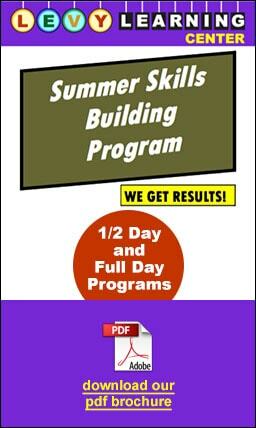 Do you want to improve your child’s skills up to TWO grade levels? 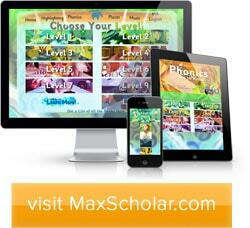 With our highly individualized, research-based‎ techniques, including the Orton Gillingham method, we can help your child SOAR! Do your child need one-on-one private tutoring? Click here to have one of our Orton Gillingham and master level educational specialists go to your home in Dade, Broward, and Palm Beach Counties. A blended learning environment for building reading, writing, reading comprehension and math skills for all students, using cutting-edge software and other engaging materials. Levy Learning Center offers one-one-one and small group tutoring, dyslexia homeschooling, weekend skills building programs, Orton-Gillingham tutoring, and summer intensive camp. Helping children with autism, ADHD, dyslexia and more, our research-based, multi-sensory strategies help struggling learners build their academic skills, motivations, self-confidence, and success in school. Our students improve up to 2 grade levels using our individualized techniques. *Levy Learning Center is NOT Lindamood-Bell Learning Processes® nor is it affiliated with, certified, endorsed, licensed, monitored, or sponsored by Lindamood-Bell, Nanci Bell, Phyllis Lindamood, or Pat Lindamood. Come join us for our 2017 Summer Study Skills Program! Click here for more info.